The Micromax Canvas 2 Plus finally got unveiled by Micromax earlier today, after a round or rumours for a while. If you missed it, here’s our report. 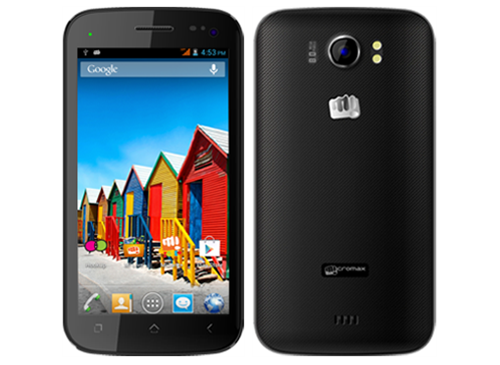 Micromax take forward their Canvas legacy and in about a perfect way, not much of a difference in price but a nice bump in processing power. Comparisons between the Canvas 2 and its successor are inevitable, and here’s our take. The Canvas 2 Plus gets a huge bump in this segment, from the dual core Cortex A9 MT6577 in the predecessor to the quad core Cortex A7 MT6589. For those who are wondering what exactly is the upgrade apart from the number of cores, let us tell you that the GPU is now PowerVR SGX544, which is capable of driving graphic intensive games at even Full HD resolution. The SGX 531 in the Canvas 2 was nowhere nearly as powerful as the 544. Apart from that, the four cores of the CPU now come clocked at 1.2GHz, which means,not only gaming, the phone will prove to be a beast even when it comes to rendering web pages and background calculations. We think this is enough to prove the winner – the Canvas 2 Plus beats the Canvas 2 hands down in this segment. Canvas 2 Plus gets a bumped up 2MP front camera compared to a VGA unit on the Canvas 2. 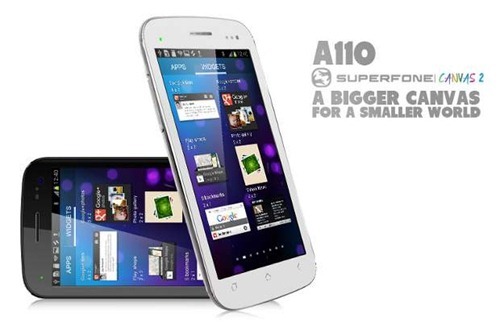 The rear camera, however remains the same at 8MP with dual LED flash and autofocus. Although it is not a huge leap from VGA to 2MP, the Canvas 2 Plus still has the better overall cameras and again, is the winner in this segment too, but not by a huge margin since the front camera is used very less when compared to the rear camera, most people in India still do not use 3G so video calls are out of question. The battery and connectivity options on both these devices are identical, however it looks like the Canvas 2 Plus has support for a notification LED – this might prove to be a big plus. We will have to wait for the phone to start shipping before we can tell. The Canvas 2 Plus comes with a price tag of 12,100 INR which we believe will go down once the phone is available in the local retail store. On the other hand, the Canvas 2 still sells for anywhere between 9,500 INR to 11,000 INR. So, if you are wise enough to wait for about a month, you probably can avail the Canvas 2 Plus for about 11,500 INR which seems like a great price. But at the moment the Canvas 2 is the cheaper of the two. sir, can you pls make a full video review of the phone ? I would like to go for canvas 2 plus. but I am cnfusd with the spec of canvas 2 plus, intex i5 and gionee g2. And suggest me which one i need to buy ?